Welcome to Microblogger! First time here? I know there's a lot going on, click here to Get Started. Jim: Today’s post comes from my friend Michael of Financial Ramblings. You may not have heard of Financial Ramblings but he previously had a successful exit from a high profile personal finance blog. So you can imagine my surprise when he messaged me about something interesting he discovered – his site’s blog carnival links were killing his search traffic. As recently as Fincon2013, I said that blog carnivals wouldn’t help but I didn’t think they’d hurt. Seems like I was wrong — they can hurt. Update: There’s a good discussion in the comments about how this isn’t an indictment on carnivals but more about overoptimization (since carnivals often link to your article with the title). I agree that the underlying culprit is overoptimization but blog carnivals are how a lot of bloggers overoptimize. Also, a total of five bloggers have privately told me that they saw a lift in search after they disavowed carnivals – all within days of submission (3 – 10) and not all were during the same time frame. I agree that five is not a lot, nor is it a proof of causation, but it is worth mentioning. That’s always been at the top of pretty much everyone’s list of SEO advice. 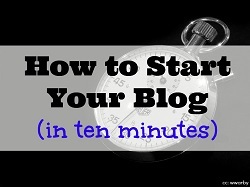 But when you’re a no-name blogger and you’re just starting out, how do you do that? For years, the answer has been to submit your articles to blog carnivals. In case you aren’t aware, a blog carnival is essentially a recurring series of posts containing links to recent posts on a particular topic. These posts are most often self-selected (and submitted) by participating bloggers, and then assembled into a post by the host. More often than not, hosting duties rotate among members of a given blogging community, with subsequent editions of the carnival occurring on a different site on a weekly or monthly basis. Participants are supposed to promote the carnival on their owns sites as well as via social media, thereby driving traffic to the host’s site and (hopefully) out to those of other participants. The supposed point of blog carnivals is thus to provide bloggers with a venue to showcase their work in front of a like-minded audience. Sounds great, right? Well, that’s not necessarily how it works — or why people submit. While hosts are generally expected to exercise some level of editorial judgment when assembling carnivals, that almost never happens. Most hosts write up a bit of introductory text, paste in the pre-formatted set of links, and then click “Publish” without giving it a second thought. With zero quality control, carnival posts often devolve into little more than barely regulated linkfest with dozens (and dozens!) of links to articles of questionable quality and/or value. But you get your links, and that’s what really matters. For years, this strategy worked very well. As a result, many bloggers have fallen into the habit of building links via regular carnival submissions. In fact, I used to do this myself, using carnival submissions as part of my link-building strategy as I built a successful finance blog from which I later exited. Upon my return to the blogging world a little over a year ago, I picked up where I left off. 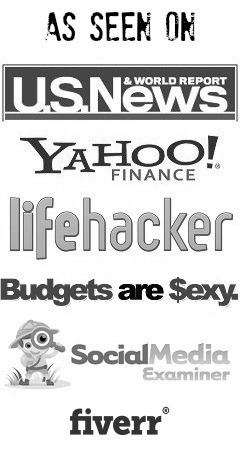 I was just getting started with Financial Ramblings, and I knew that I needed to build links. Since carnivals had worked well in the past, I figured why not? And so I set out to regularly submit my articles to relevant carnivals. At worst, I figured that carnival links would be worthless from an SEO perspective. Google might have wised up to the point that they were ignoring them, but I never thought I was putting my site at risk of a Google penalty, manual or algorithmic. Unfortunately, I couldn’t have been more wrong. All was well with this strategy until September 2013, when I received the Google smackdown of a lifetime. My search engine traffic all but dried up and I was left to wonder why. I checked Webmaster Tools just to be sure, and this is what I saw. Jim: Michael didn’t receive a manual penalty, this was algorithmic. And unfortunately his screenshot chopped off the y-axis but those horizontal lines are around 400 per line so it tops out at 1600. That’s a snippet of the graph of my search queries over the time period in question and, as you can see, it took a nosedive on September 10th (indicated by the red arrow). Anecdotally, I also saw myself disappear from the SERPs for terms that I had previously ranked for. Of course, this was all happening around the time of the Hummingbird update, which went into effect in late August despite not being announced until about a month later. But this particular date didn’t line up with any specific problems that others were reporting, so I was left scratching my head. In the end, however, I knew that I needed to fix the problem. Unsure of what to do, I took a shotgun approach and started tightening up various aspects of my SEO. This included both major and minor things. I verified that I didn’t have any duplicate content. I extended my domain name registration. I cleaned up what could have been perceived as spammy meta tags. I went back and nofollow’d all of my affiliate links. And so on and so forth. And then I waited. And nothing changed. So I waited some more. And still, nothing changed. Having cleaned up everything that I could think of in terms of on-page SEO, I started digging more deeply into off-page factors. As part of this process, I downloaded my incoming links from Webmaster Tools and started sorting through them. And, in doing so, I started to notice lots (and lots!) of carnival-type links. That wasn’t particularly surprising, since I had been submitting to carnivals on an ongoing basis. But it got me to thinking… carnival submissions were the closest thing that I had every done to spammy link building. Could those links be the source of my troubles? Since I had reached the end of the line in terms of solutions, I decided to clean up my backlink profile. I filtered the list of links to identify everything from a carnival or the like, and then I got to work. I started contacting site owners, explaining the situation, apologizing for the hassle, and asking them to remove the links from carnivals that they had hosted. To make this as easy as possible, I provided them with the carnival URLs on their sites as well as the URLs that I wanted removed. Some site owners complied (thanks! ), others said they were too busy, and still others ignored (or never got) my messages. So, from there, I turned my attention disavowing the remaining links. For those that are unaware, Google introduced a link disavow tool awhile back that lets you upload a file telling them to ignore certain inbound links. Why didn’t I disavow from the start? Google states you should first try to get the links removed from the web, and I wanted to play by their rules. So as I built my disavow list, I included comments detailing the process. These are links that I’ve successfully had removed, these are links where I’ve requested removal but haven’t heard back, these are links where I couldn’t find contact information, and so on. And then I uploaded the file, crossed my fingers, and waited. I did this in early-ish November and, within about a week, I started seeing results. Jim: Again, sorry for losing the y-axis but the horizontal lines here represent 500 visits, so it’s a bigger scale than in the previous chart. That first blip (blue arrow) is actually kind of interesting, in that I was so anxious to try out the disavow tool that I uploaded a partial list of links around the 7th or 8th. I left that in place for a few days, but then decided to take it down while I finished building out the remainder of the file, and then I uploaded it in its entirety. As you can see, that first upload appears to have produced a temporary blip, followed by a return to the crappy levels I had previously been suffering, presumably due to my deletion of the incomplete disavow file. But then, following my upload of the completed file, things really started to take off (green arrow). Note that the data in Webmaster Tools is typically delayed by 2-3 days, so you can’t diagnose things in real time. This is compounded by the fact that it takes Google some time to process your disavow file and put it into action. Thus, you really have to make your changes and then wait patiently to see the results. My search queries kept creeping upward for about a month, by which time they exceeded the pre-penalty levels of early September. And, importantly, I saw my actual search traffic come roaring back to life. Blog carnivals are capable of destroying your Google search traffic. Honestly, that may or may not be true. While you may not have suffered a September crash like I did, those links could still be holding your search traffic at lower levels than you might otherwise be receiving. Also consider that I’m talking about a relatively new site with a relatively thin link profile. As such, carnival links may have been a much higher proportion of my total inbound links than they would be for a more established site, and that could explain why I received such a perceptible penalty. Whatever the case, I’m now convinced that blog carnivals are worse than worthless. Not only have I cleaned them out of my past, but I’ve sworn them off going forward. And you might want to do the same thing. In 2005, I founded a personal finance blog (Bargaineering.com) that became successful enough that I quit my career as a software developer in the defense industry. It is my goal to share everything I learned so that you can do the same - build an online business that let's you pursue your passion. Sign up to get free weekly emails about blogging from me! So awesome right? Very interesting! Thanks for telling us about this. I guess it does make sense when you think about it. What’s interesting is how quickly you saw the search queries change. From things I’ve read it could take weeks or more for a file to have any impact. I guess it depends on timing perhaps? Part of is that he was getting links removed in the period before sending in the list of links. It’s possible that one of the links he removed, or the group in aggregate, had the big impact and the list was just icing. I was surprised by how quickly I saw an effect, too. Based on what I had read, I expected it to take a couple of weeks. As Jim noted, however, I was working on removing links during this time so it’s hard to pin it down to the disavow list alone. Regardless, I saw more rapid results than I had anticipated. It’s also worth noting that the so-called experts out there aren’t necessarily trustworthy. Often, someone will say something without much basis, others will repeat it, and all of a sudden it becomes a widely accepted “fact” that everyone “knows” to be true — whether or not it really is. In other words… Trust, but verify. Yes, I do a lot of research when troubleshooting things, but I also do a lot of testing to verify things myself. This is a pretty stunning case study – though I’m one of those people who *does* submit and *hasn’t* been negatively affected. All the same – a very interesting read, something worth bearing in mind and a beautifully written post. Thanks Richard – every site is different and it all depends on what else you’re doing. In this particular case, a lot of the linkbuilding was via carnivals and that would look suspicious to anyone. Richard: Thanks for your kind words regarding the writing. How can you be sure that you haven’t been negatively affected? Even if you haven’t seen a precipitous drop, it’s quite possible that your search results would be even better in the absence of the carnival links. I suspect that I suffered such an obvious drop because, as noted above, it was a new(ish) site and had a relatively thin link profile aside from the carnivals. With a more seasoned site, it’s quite possible that you’re still being held back by the carnival links even if you didn’t observed a one-time, dramatic decrease like I did. Thanks for the tip! I kind of strayed away from carnivals lately anyway but I do have a bunch from when I first started out and it may be worth taking a look. It’s a shame to have to waste so much time on this kind of stuff. I don’t understand why Google doesn’t just ignore these types of links rather than punishing us for them. Seems to me like they’re rewarding people who do negative SEO to take down their competitors. I wondered about that too but with the disavow framework in place at least an honest site owner has a way to respond. I agree. It’s a shame that you need to worry about this sort of thing, and kind of scary considering that others could be damaging your site by pointing crappy links at it. I’m not surprised that carnivals hold the risk of being bad links. The reason is that by definition the host links to many other sites and some of them could be bad in Google’s eyes. In addition, they also create a reciprocal linking scheme… and if done regularly, it turns to be a manipulation pattern. All in all, it’s great to see you got back the traffic and also it is another verification of how powerful links are. haha… well, just like Mike mentioned above, if Google can identify the links they don’t like, they don’t need us to inform them through the disavow tool. In my opinion, the disavow tool is just a way for them to get more links that the submitter used in link building campaigns… eventually with some cross matching of other submitters they expand the pool of manipulative sites. I doubt that use of the disavow tool will hurt a site down the line. That being said, I’d be shocked if they weren’t mining that data in an attempt to better recognize sketchy links and bake that info into future iterations of their search algorithm. I don’t think a disavow tool could hurt the site doing the disavowing, it might be used as an indicator if you have a site being disavowed a ton. Even then, that’s a signal by an individual and it would probably take a lot to make an impact. This is actually pretty interesting, as the analysis suggests that carnivals were the direct cause of traffic plummeting. Assuming nothing else was done during that time frame to impact SEO, thus isolating strictly the carnival links being disavowed as the only variable changed. So, if someone went through a “scorched earth” approach and disavowed all carnival links, traffic should show some kind of increase? This assumes that pretty much all carnivals are bad, regardless of if they have 20 links or 60 links. This also begs the question, are weekly roundups that people do also bad for SEO? Interesting stuff, and I wonder if anyone else has tried this approach. That’s why I felt comfortable saying “irrefutable” in the title and even asking Michael to write this post in the first place. We have as close to a controlled experiment as possible. While nothing is guaranteed, I feel confident that these results are actionable. I think weekly roundups can’t help from an SEO perspective but you likely don’t do roundups on the same scale as carnivals. My site started a downward spiral last January. It took me a while to figure it was probably a Panda update, because I didn’t have a sharp drop like yours but just a slow steady decline over 12 months that dropped me down to 50% of the organic search traffic from Google as I did at my high point. I’m just starting to get this figured out, so I’ll have to take a look at my carnival backlinks. I didn’t submit to many, but there were a handful in 2012 that could be the cause for it. I already manually entered all of the listed algorithm updates from Moz. I simply have no cliff what-so-ever. Just a slow and mostly steady decline starting within a few days of the January 2013 Panda update. In that case, it’s hard to imagine Panda being at fault, unless you were only slightly out of whack with what Panda was penalizing and then continued doing frowned-upon things, thereby resulting in a gradually increasing penalty. Have you been looking at your rankings for terms? Has someone else been creeping in on you? I don’t have any way of actively tracking that. Hmm OK then next best option is to look in Google Webmaster tools under Search Traffic->Search Queries, as Michael did, to see if you’re slipping across the board, only for a term to a page, and work your way back from there to try to guess as to why your going down. Well, for the past 90 days of available data, clicks are holding rather steady in the upper 20’s and low to mid 30’s for an average of 32. Impressions are more volatile, but mostly in the 400-600 range with an average of 479 and seem to be increasing. It’s frustrating that Google doesn’t release this data for longer amounts of time. In Webmaster Tools, go to your website and look for Search Traffic in the left sidebar. Click that to reveal the submenu, Links to Your Site is one of the choices. Click that and it’ll show you Who links the most, click the More >> under that list and it’ll give you a big list with three options – Download this table, Download more sample links, Download latest links. Interesting article. Maybe it’s more of a case that we should be careful of which carnivals we submit to. I remember Matt Cutts saying in a video that it is natural to ask for links, which is what blog carnivals essentially is. Perhaps we should only submit to the ones that show evidence of being selective with the links they accept. That’s a good approach to it as well, if a carnival is picky and only has a curated list then I would feel safer submitting to it. Well then you’re welcome to (re-)submit to mine anytime. My carnival, the Carnival of Wealth, is the only one I know of that controls for quality. My last edition featured 10 submissions. Contrast that with the last edition of the Yakezie Carnival, which featured 108 submissions, every one of them a cut-and-paste job. Absolutely no one is reading through that, save the 108 submitters who searched to ensure their own entries were linked to. Yes, this is how carnivals should be done. Look at it from Google’s perspective. While it’s probably pretty easy to algorithmically spot a carnival, how will they be able to determine if the host is being picky or not? They won’t. And really, what’s the cost to them of ignoring (or penalizing) a few good carnivals alongside all of the bad ones? Not much. So the smart money says that they’ll throw the proverbial baby out with the bathwater and disregard (or penalize) all carnivals rather than trying to be selective. I think the logic comes from a different direction. I think they look at pages with a lot of links, whether that’s 20+ external links or 50+ or 100+ (Google has said in the past that you should have fewer than 100 links on a page, though that guidance was dropped later), and then might assess the quality of the site, the links, etc. Less than discerning carnivals, with a lot of links and some to less than stellar sites, might fit the criteria of “not a great link” and thus get identified as bad. Fair point. But not worth the risk (imho). Not sure I buy it as only carnival related. If that were the case, the smack down would coincide with an algo update. The closest update was Hummingbird on August 20th. Your drop happened 3 weeks after the fact. There were 2 other algo updates after that: Oct. 4 (which didn’t do anything per your search traffic) and Nov. 14 which perfectly coincides with the return of your traffic. And a much quicker improvement than what I’ve seen in other disavow case studies. Interesting piece but I don’t think cause and effect are entirely related without more testing. For all we know no following your affiliate links was the solution but didn’t show its effects until the Nov. update. The easiest way to find out is just remove the disavow file and see if your search traffic disappears again. Thank for sharing the evidence that carnivals (etc.) can in fact hurt search traffic. It’s good to see an example of this. My perspective is interesting. I’ve been running the Carnival of Personal Finance for almost nine years, but I stopped submitting to all carnivals many years ago, as did many of the more established blogs in this particular niche. The initial purpose of the Carnival was not to affect search results, but to share readerships, at least from my perspective. 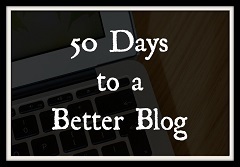 Great for newer bloggers, diminishing value for the established. But Carnivals get a lot of poor submissions, and lower-quality sites are hosts. This is where Google feels justified in taking a blanket approach to penalizing participants. I’ve been planning to revamp the Carnival of Personal Finance for some time in order to maintain higher quality and reduce quantity, and the time has come to put those plans into effect. But if there’s no good solution that helps bloggers without the potential of damaging traffic, the best option is to shutter the project. Yeah, I think the origin and the intent of blog carnivals was once good but like everything else, they get overused by people with bad intentions (look at guest posting today). Do you think it would make sense to delete carnivals you have hosted from your own site archives? I’ve hosted a handful over the years. Not even sure if I’m “allowed” to ever delete them? If you think they’re hurting you, delete them. On Bargaineering, I remember going back and deleting every roundup. I was on the verge of deleting the carnivals to but the site hadn’t been affected by Panda/Penguin so I was only trying to be proactive. The site still has carnivals. I would probably go through and 1) check for broken links 2) nofollow most of the links except those to really good sites. If you’re thinking your site has been penalized for hosting a carnival, I would start there and see if there are any changes. Another option is to leave in links to the top five (“editors choice” links, as in the COPF, perhaps) while removing all others. You can always delete the post if that doesn’t help, but it seems that the best advantage will come from disavowing or (or asking for removal of) incoming links to your site from low quality domains. Thanks for the ideas Luke. I have gone through and removed links via broken link checker periodically. I’ve been penalized but not sure exactly why (I have some ideas and have taken some steps to correct already). I’ll leave the carnivals for now and see if making other changes like those mentioned in the post help. If things change, I’d love to hear about it. Thanks Eric! Another possibility would be to noindex those pages. As Jim pointed out, you never really know with Google. Google still crawls nofollow’ed links, they just don’t pass PageRank (probably), but WMT still shows me a several hundred nofollow’ed comment and forum signature links. Who would put it past Google to still penalize you for a low-quality nofollow links? Great case study and one that makes a lot of sense. I stopped submitting to carnivals a few months ago and my traffic is doing well. I have done research and found that I rarely ever got traffic from them and since I was a part of a large link page, you don’t get any benefits. It takes up time that I can use to focus on other aspects like networking. My main benefit that I wanted was traffic. I knew that having my link in a huge list of links was not beneficial anyway. That has been proven time and time again. I kept a list of carnival submissions and dug through my analytics periodically. That research proved that carnival submissions never really brought me traffic. The only time I ever got traffic from a carnival was when my submission was selected as an Editor’s Pick or somehow highlighted somewhere near the top (and sometimes the bottom), otherwise the only benefit was always a link. Thanks for the info. I had the exact same experience. I’ve been removing a ton of spammy links. I stopped accepting paid posts. I’m going to follow up and remove or disavow the carnival links (I already stopped participating in carnivals). This is interesting Barbara. It would seem to me that Blog carnivals are OK according to this. The idea of a blog carnival is to publish a link based on whether the blog owner likes the content. This means a link by merit is awarded, rather than by manipulation. This is what Google essentially say natural link building is. They have stated that it IS natural to ask for links. What do you think? How do you filter the links and find out where they are coming from? If you open in Excel then you can use Auto-filter to just show rows with those words in the URL. Now you have a core list of carnival-related links and the work begins. I started looking up and contacting domain owners for as many sites as I could manage. I also started building out a disavow list. In some cases, I disavowed individual urls. In other cases I disavowed entire domains. And when it was complete, I uploaded it via the disavow links tool page, which can be reached from the page linked linked above. I’ve suspected this for awhile but now I have a link to share when trying to explain it to other bloggers. Yep, that’s one reason why I asked Michael to write this. I knew they weren’t great but didn’t think they’d hurt like that did. Learn something new all the time right? Yikes! This is scary. I’m wondering if the same advice applies to link parties. These are not quite the same as carnivals but do involve large numbers of links appearing on a page. I just started co-hosting one that gets over 200 links each week. It’s great for traffic and comments and I’ve started many relationships through it. I will have to check to see if the links are no-follow, but even if they are, should I be concerned? I see them being similar and I think having them be nofollowed would be better, it reduces the risk of any ill effects while still passing along any referral traffic and comments. Just won’t ever be seen by Google as manipulation. Do you know any tools to bulk make the links nofollow on just selected carnival posts? Yeah, you just it with meta tags. You can noindex and/or nofollow entire pages at a time. You can use an SEO plugin or some themes have this functionality (e.g., Thesis). I found a box on each post in WordPress from Genesis that let me do it. Who knew? Thanks for the idea of where to look. Perfect – I’ve nofollowed those posts. I feel a lot more comfortable with that approach. This is a great case study. Thanks for sharing the results. I haven’t submitted to carnivals in a long time, but I have a lot of carnival links dating back several years. I may try your approach. My current approach is to ask a simple question–would I submit to a carnival [or other marketing efforts] if I knew it wouldn’t help my search rankings? If they answer is no, I don’t do it. If yes, I do. In the case of carnivals, at one point I just submitted to the carnival of personal finance b/c I thought it had value regardless of search. But even that stopped some time ago. Rob: I think that’s a wise approach. If you’re doing something solely for the possible SEO benefit, then there’s a fair chance that it’s the sort of thing that Google frowns upon (or will at some point). So if you can’t think of a reason for doing something other than SEO, then it’s probably best to steer clear. Mike, I have a question for you: when submitting to these blog carnivals, did you submit one article a week to all the blog carnivals? And did you use the same anchor text for all your submissions? It would make more sense that you suffered from a keyword over-optimization issue rather than the actual carnival concept being bad. Because as Jon noted (unfortunately no one replied to him) and Jim mentioned in the article, this was an algorithmic penalty. Algorithmic penalties are not removed until the algo is updated, refreshed and rolled out again, which explains your traffic coming back on/around November 14th (http://moz.com/google-algorithm-change). As noted by Moz, Nov 14th was the date of an algo update. The issue is: if this was an algorithmic penalty specifically geared towards the types of links found in blog carnivals, hundreds (or at least dozens) of other bloggers, who also use blog carnivals as a means of building links, would have had penalties as well. It’s like when Google takes out a link network – everyone, including the host sites and participants, gets screwed and penalized, and that’s simply not the case here. Second, because it is algorithmic, you can not contribute your site coming back to no-following/removing carnival type links. You didn’t see improvement after your other changes because it is algorithmic – the algo needs to update before it pushes out changes/improvements to sites. If the algo update had not come Nov 14, you would not have seen any results after disavowing your links, either. If the update had come 3 months later, you would have seen the results then, and between those times, you would have changed a number of SEO factors on your site and not known which issue contributed to the fix. The return of SE traffic after you disavowing your links is simply luck/coincidence that the algo update fell close to the date you made those changes. And none of us can say that Google even processes disavow requests that quickly. It takes Google’s Webmaster Tools 1-2 days just to process a new robots.txt file. Trust me – I would know. I have a site doing 150K visits per day and I screwed up the robots.txt file without realizing, and Google dropped my traffic to 75K visits/day for 10 days before returning me to my previous traffic levels. Anyways, yes – blog carnivals may eventually be targeted (sooner rather than later if we open Matt Cutts’s eyes to the concept with posts like this), but no – it hasn’t happened yet or the issue wouldn’t be isolated to you and a few people who emailed Jim. I’m certainly not saying blog carnivals are the greatest, but I don’t think the blog carnivals alone penalized you. Those dofollow affiliate links and other “various aspects of my SEO” could have played a bigger role than the blog carnivals, we’ll just never know. Great insights. Knowing what I do about blog carnivals, and how they typically just grab the title as the anchor text, the overoptimization penalty is something that fits. I guess I should be more careful when I said blog carnival links are bad. They aren’t good but the combination of their nature and how bloggers were using them made for a bad situation. I don’t think blog carnivals were targeted, though they may in the future as you suggest, but those types of links and how bloggers use them are certainly algorithmically accounted for. Hi Gary. Great comment and insights. Yes, I originally suspected that what I was actually suffering was an over-optimization penalty that arose a byproduct of carnivals. In other words, I agree with Jim’s followup point that it’s not blog carnivals per se that have been targeted but rather the types of links that they produce and the way in which people use them. To your other point about not having seen a more widespread effect, I wouldn’t expect this sort of thing to hit everyone the same since everyone has different link profiles. For some, the number of truly organic, high value links far outweigh the number of carnival links. For others, the balance is different. I would expect this to make a difference, and could easily cause some to feel the pain while many others escape the wrath. I would also argue that things like failing to nofollow affiliate links are FAR more common than participating in blog carnivals. So, by your logic, if something like that was truly the source of the problem, then it should have been even more noticeable amongst the masses. I think what we really need are more data points. That is, others who have now gone back in and cleaned up their carnival-related backlinks. Did they see a boost in search traffic when doing so? While I could delete my disavow file and watch my search traffic as a test, this wouldn’t be a perfect test because I also had a bunch of links actually removed from carnival posts and there’s no way of rolling back that change. Ultimately, I’m just happy to have my search traffic back and am uninterested in re-destroying it in an attempt to prove a point. But I would love to hear from others who have attempted this. Perhaps Jim has heard (or will hear) from people who have done so, in which case he may be able to enlighten us. I’m glad we agree on the likely cause: over-optimization versus, as you said, the blog carnivals themselves. However, the problem is, the entire post is focused on blog carnivals as links and there is no mention of anchor text/keyword over-optimization and how you use or submit to those blog carnivals. And you know that the people reading this post (who are likely new bloggers or not professional SEOs) will not read all the comments down to our discussion and will end up not learning the real problem behind your traffic loss. I think the worst part is there will be some unintended collateral damage. Not only are people going to waste their time asking for link removals, they are going to no-follow the blog carnivals they’ve hosted. Those blog carnivals are helping MANY of your peer bloggers rank well. Personally, it won’t affect me but sites that don’t have penalties or issues are going to be indirectly hurt. Additionally, while I agree that everyone’s link profile is different, for those amateur bloggers who have had a site for 3-6 months and are not reading SEO posts everyday, blog carnivals are probably the only links they have (other than comments, which don’t count anyway). After all, Jim did say you had a high profile exit from a successful PF blog, so you aren’t an amateur by any means, and yet your link profile was susceptible and reliant on blog carnivals, right? In the end, “irrefutable” is too strong of a word anytime SEO is concerned. I would clear up some of the points in the post and explicitly mention over-optimization, and that to avoid it, bloggers should alternate anchor texts/titles or submit different posts altogether. Considering both of you are respected in the PF community, I think there is that responsibility to make sure no one is indirectly hurt by getting the wrong idea. The issue of carnivals per se vs. the links contained within them is a bit of a semantic issue imho. That being said, perhaps it’s an issue of overdoing the carnivals vs. participating at all. Fair point. You’d never be banned for voicing your opinion. The irrefutable adjective was my doing (and I still believe it) and a lot of bloggers, especially personal finance bloggers, are susceptible and reliant (completely reliant) on blog carnivals. I think I put irrefutable because I was taken aback by how immediately impactful his efforts were (and of some emailers), and maybe the pendulum swings the other way but is that bad? Well, it was immediately impactful because there was a Google algo update just a week later, so the data on his site was refreshed and he was no longer penalized. Whether Google processes disavow files that quickly or it was a combination of any number of other SEO fixes he made, who knows. I guess the positive side is – Michael was actually able to recover and that means algorithmic penalties do get removed in a timely fashion when you are diligent about your efforts. There’s an important point buried in this comment — “and of some e-mailers.” So it seems that others are now trying this and having success. Is that right, Jim? Or am I mis-interpreting? Yes, I’ve had two people email me to say they’ve seen improvements. I didn’t ask for proof (though I don’t know why they’d lie). Fascinating, it makes perfect sense when you break it down and think about it. I wouldn’t have even thought about it in the context that you presented it in. How much of an impact do you think the thin link profile had? In 2005, I started a 7-figure personal finance blog that enabled me to quit my job as a software engineer. This is the story about that journey and how you can do the same. 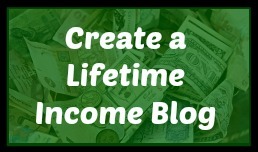 I started a blog and was making six-figures within three years, this course will get your blog up and running today!